Yes, we know that if we type ‘google’ in the address bar and press Ctrl+Enter it directly goes to www.google.com . But what about .org and .net addresses? . And Ctrl+Shift+Enter takes you to .org addresses automatically . The Delete key can be pretty useful because it helps you delete specific addresses in browser history or autocomplete forms. If I want to delete the 2nd entry from autocomplete history, I’ll just point to it and press Delete key. Simple, isn’t it . Ctrl+tab can help you navigate alternate tabs but if you are a heavy tab user like me and want to go to a specific tab then just use Ctrl+corresponding tab number. Ex:To go to the 3rd tab use Ctrl+3. Spacebar or PageDown key scrolls down the webpage you’re on and Shift+Spacebar or PageUp scrolls up the webpage you’re on. This is not a keyboard shortcut but it is an excellent shortcut. Just point to a link anywhere on a webpage and press the middle mouse(scroll) button. It opens the page in a new tab .Also middle-clicking a tab with the mouse closes the tab. This (backslash) if you hit that once will bring a quick find option. We dont have to puch CTRL+F for searching. 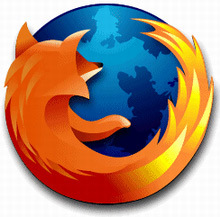 I hope these shortcuts will enhance your browsing productivity with Firefox. Share your other interesting shortcuts which I may have missed....! Ctrl+Tab and CTRL+Shift+Tab to navigate between tabs. good article , thanks for sharing the article!